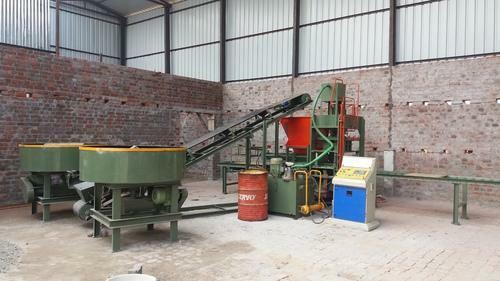 Brick Size 230 x 110 x 75,250 x 125x 75,9"X4" X3",10" X 5" X 3"
Bricks Size 9" x 4" x3",10" x 5" x3"
Shankar Engineering Corporation has emerged as the top notch company for Food Processing Machinery and Equipments supply in the industry. Since our inception in 1983, we have continued to rise as the leading brand name, setting standards as a role model for other rising companies. Based in Burdwan & Kolkata, West Bengal, we have gained reputation as the chief Manufacturer, Exporter, Supplier and Trader of a vast range of Roller Flour Mills, Atta Chaki Plants, Puffed Rice Roasters, Poha Plants, Besan Plants, Sattu Plants, Oil Mills, Spices Plants, Rice Mills, Bakery Equipments, Paking Machines, Machine Tools, Metal Mechanical Machines, Food Processing Machines, Rice Parboiling & Rice Drier Plants, Oil Expeller Machines, Pulveriser Machines, Rice Mill Machines, Mill Machines, Wood Working Machines, Workshop Machines, Electric Motors and many more products that all have sub-ranges. Being a quality conscious-firm, we supply best in line products available in the market. We believe in serving our clients with our best efforts and diligence, who have in turn, laid their invaluable trust and faith upon our brand since our establishment.